Jo seeks the help of incarcerated Dr. 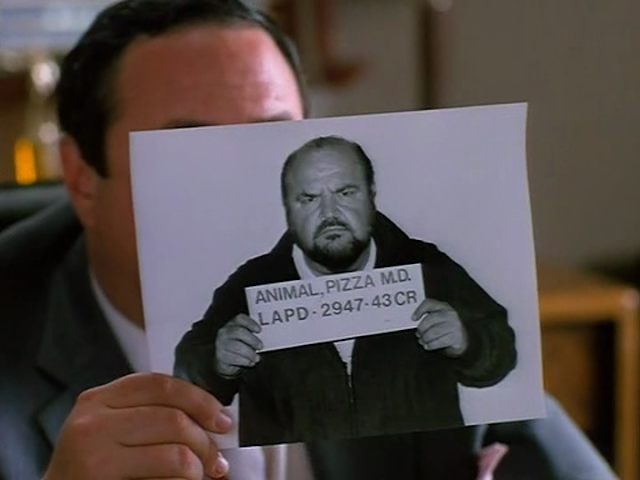 Animal Pizza, played fabulously by Dom DeLuise. His antics and word-play are absolutely to-die-for (pun intended). Their bantering exchange is one for the ages...and they're hand-playing with the cell door slot literally had me laughing out loud. Side note: I got way too invested in this movie! Jo's journey eventually takes him to a shady motel ran by a man named Antonio, who lives in a dilapidated house behind the property. As you can already guess, this is the PSYCHO spoof -- and it's wonderful. It actually has a twist near the end that somewhat flips the PSYCHO script, which was a very good way to spin some originality to the story. 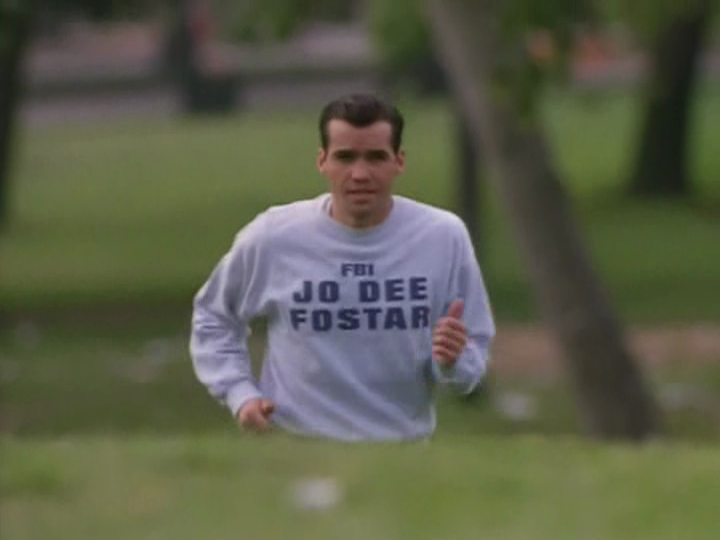 There are sight gags littered throughout the movie, and they're all great. Some are off in the background, but many are spoon-fed to us. 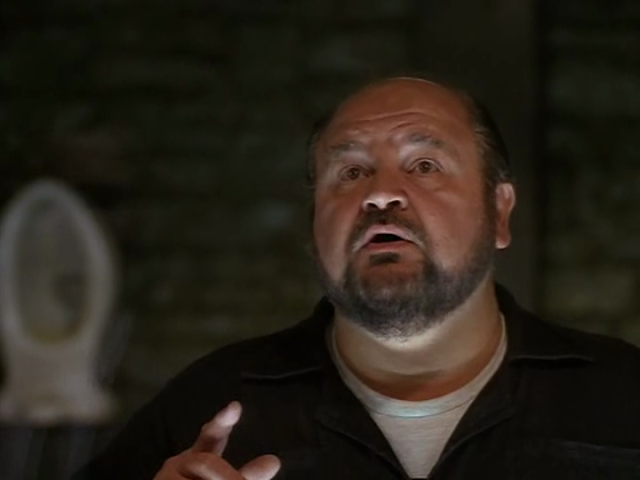 One of the better ones is during the BASIC INSTINCT portion of the film. When Sharon Bone uncrosses her manly, hairy, legs, there's an obvious bulge in her underwear. But that's not the real gem of the scene. While the main detective interviewing her is disgusted, the other two smile and lick their lips. It's great. Another great nod to PSYCHO was their lampoon of the infamous shower scene. The killer, now known as Psycho Killer, tries to stab the woman in the shower but she keeps dodging the blade. Quite funny, really. He then just shoots her. In all, THE SILENCE OF THE HAMS was a great horror/thriller spoof. Not really along the same lines as SCARY MOVIE, but definitely in the same ball park as 1981's STUDENT BODIES. By all means, see this movie...if you haven't already. Still curious? You're in luck, the entire movie is on YouTube! Now I need to track down a copy of THE BOGUS WITCH PROJECT to watch and review next!